Jesus was perfect, spotless, holy, righteous, and clean. Yet he became what he hated, sin. Why would he do such a thing? 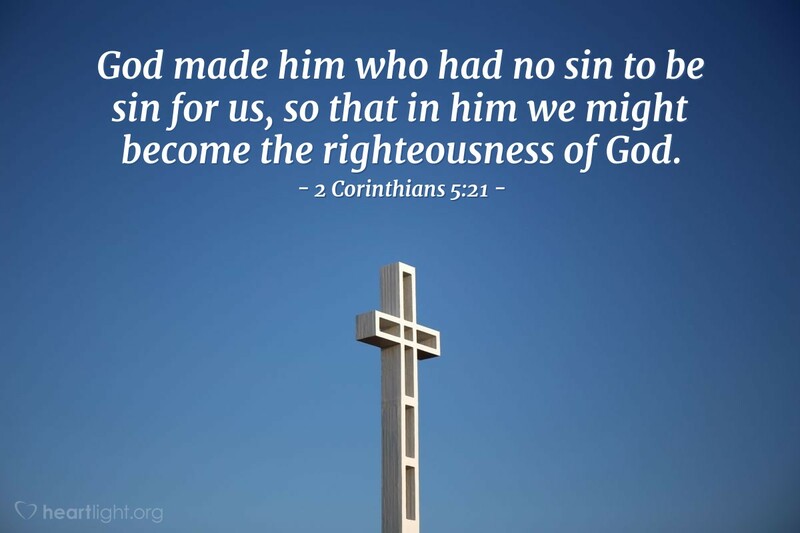 Because he loved us and wanted us to be what he is today, the righteousness of God. Almighty and loving Father, thank you for making me holy — your righteousness — by the sacrifice of Jesus. Thank you, dear Savior, for paying such a horrible price, not just by dying on the cross, but also by becoming my sin and carrying away my guilt. All praise to you, dear Father, for your plan, and thanks and glory to you, dear Jesus, for your loving sacrifice. Amen.